I’ve been interested in aspects of Real Estate for a long time but I didn’t know it at the time. I studied architecture in France, fresh out of Gloucester High School. I liked the qualities of space and light that structures create. Returning to Ottawa, the sense of HOME was a distinct and powerful force and my interests focused on finding community and making a home. Today, I am still inspired by buildings and new developments in home construction. Perhaps it was the early influence of French Cathedrals that inspired my interest in Real Estate. 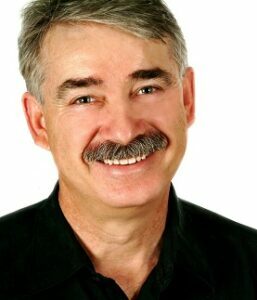 I began my Real Estate career in Fredericton, New Brunswick in 1973 with my first property investment. It was an old home transported up the St. John River on a barge by Loyalists and destined to serve as a riverside Inn. The building needed a lot of renovating but I was interested in historic properties and focused energy and resources in returning it once again to stately manor. Later, I was invited to design and renovate newer city homes. I learned much from these adventures and when I moved to Ottawa, property acquisition and development continued with the creation of a property management service for rental properties. Today, I enjoy the challenges of marketing unique homes and finding inspiring properties for out of town buyers. I understand the concerns of the Diplomatic community as well as business relocation or postings. I’m committed to client satisfaction. It’s guaranteed! I know that buyers and sellers want trusted personal service throughout a buying or selling transaction. They also value a continuing relationship long after the closing date. I welcome that. I admire homes in the established neighbourhoods of Rockcliffe, Lindenlea, Glebe, Rothwell Hights, Alta Vista, Hintonburg, McKellar Park and Westboro. I’m also impressed with newly constructed homes beyond the Greenbelt. A well designed and built home doesn’t need to be big but it will make the owners feel proud if space functions well. And the same is true for a downtown condo. Condos offer unique services and features that spell home for another discerning group of people. As a real estate practicioner I enjoy matching client needs with their Dream Home. The sense of Community is important concept for home owners and it’s often overlooked in the various stages of home purchase. Community is still a very important concept. Defining communit y is subjective but for me it involves a sense of fitting into a neighbourhood and relating to neighbours, and service providers. Community involves feeling part of the environment and being able to share in the services offered by the community. The value of owning real property is immeasurable. There is so much knowledge and experience I can offer first time buyers. The cycle of learning continues! That’s what I love about Real Estate! I take a personal interest in each family I work with and in every home I buy or sell. It’s a personal commitment! My motto; “Let your Dreams Take Flight,” has two relevant meanings. In reference the airplane gliding by the opening page of the site. As your real estate agent, I want to help you realize your dream no matter how great or small it may be. Second, the phrase; “Let your Dreams Take Flight” has a personal reference to my love of aviation and flying. It’s a passion I offer and share with my clients. What better way is there to celebrate your new home purchase than with an invitation to see your home from the air! Value: Priceless! 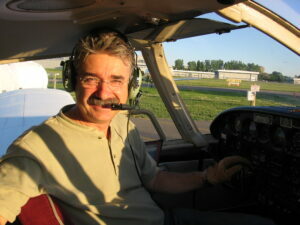 Call me for details on how you could enjoy a dream flight over Ottawa. Special conditions apply. Build a relationship with a REALTOR® and enjoy a powerful advantage in buying!